Mr. Chris Greenberg is a dedicated and technically skilled business professional with a versatile skill set developed through experience as an entrepreneur, business developer and community leader. 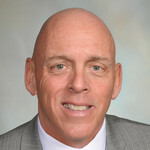 Currently Mr. Greenberg is the CEO of Global Safety Network and Owner of Express Employment Professionals (Grand Forks, Fargo, and Minot, North Dakota; Aberdeen and Watertown, South Dakota; and Tampa, Florida). A highly experienced Operations Executive who has demonstrated the ability to lead diverse teams of professionals to new levels of success in a variety of highly competitive industries, cutting-edge markets, and fast-paced environments. Mr. Greenberg has strong technical and business qualifications with an impressive track record of more than 19 years of hands-on experience in strategic planning, business unit development, project and product management, and proprietary software development. He also has the proven ability to successfully analyze an organization’s critical business requirements, identify deficiencies and potential opportunities, and develop innovative and cost-effective solutions for enhancing competitiveness, increasing revenues, and improving customer service offerings. Mr. Greenberg lives in Grand Forks, North Dakota, with his wife Sonya.